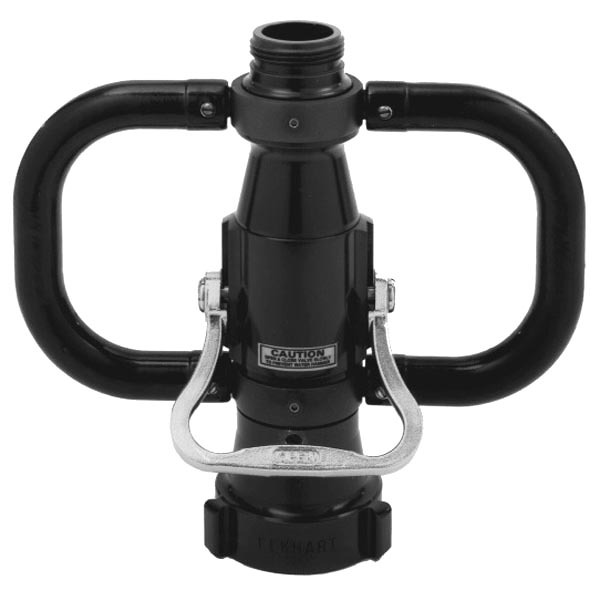 Elkhart B278 2-1/2" Inlet x 1-1/2" Outlet Playpipe. Ball Shut-offs and Playpipes are designed and constructed for rugged use and reliable performance as well as an excellent foundation for your break-apart nozzle needs using either smooth bore or fog nozzles. Elkhart Brass Ball Shut-offs and Playpipes are available with a variety of options, including built-in smooth bores which can be used with a fog nozzle tip for maximum versatility.